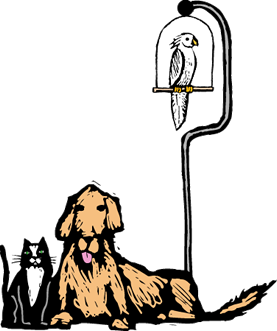 For personalized pet care when you can’t be there, call Critter Sitters, St. Louis’ number one at-home pet care service. Wouldn't it be wonderful if you could find someone to care for your pets with the same individual attention they get from you at home? No more worrying about leaving your beloved pets in a kennel. No more feeling guilty about imposing on friends and relatives. Since 1994, Critter Sitters has cared for thousands of pets and homes. We've earned our reputation for excellence and dependability to pets and their owners throughout the metro St. Louis area. Critter Sitters Named Angie’s List Super Service Award Winner Again for 2012! 2012, 2011, 2010, 2009, and 2008! 2017 Super Service Award Winner! Critter Sitters Named Angie’s List Super Service Award Winner Again for 2017! Keep up with Critter Sitters! A feed could not be found at http://www.facebook.com/feeds/page.php?id=339468556135007&format=rss20. A feed with an invalid mime type may fall victim to this error, or SimplePie was unable to auto-discover it.. Use force_feed() if you are certain this URL is a real feed.